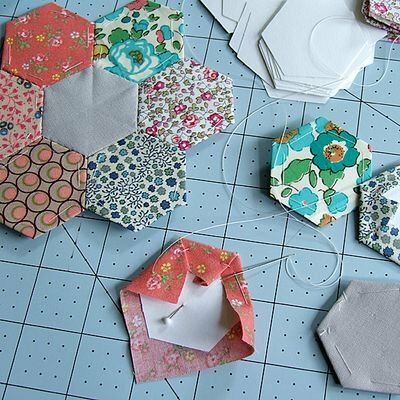 English paper piecing (or EPP) involves stabilizing fabric around a paper shape before sewing the pieces together to create intricate designs. It is most effective for designs that don't have long straight sides but do have numerous set-in corners, such as the hexagon shapes. This club meets the first Thursday of the month from 3:00 - 5:00. A club designed to get together, share ideas, and be inspired. Work on any English Paper Piecing (EPP) project you like.